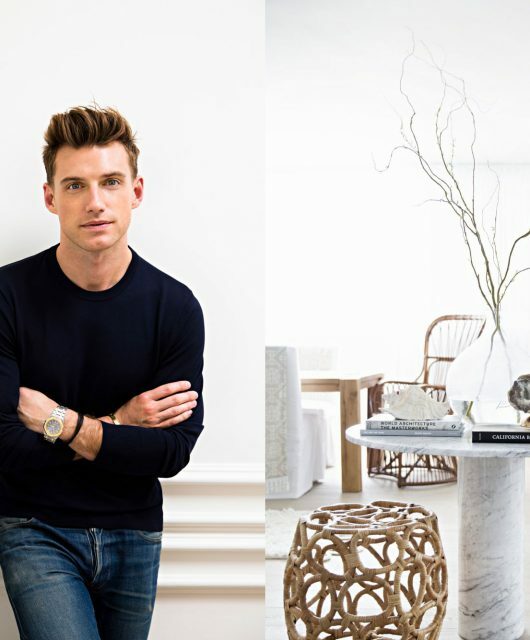 Trip Haenisch Takes a Trip for Vintage French Modern, English Sideboards and a Moscow Mule The designer to the Hollywood heavyweights shares where he finds a curated array of finely crafted and surprising finds around the quarter. 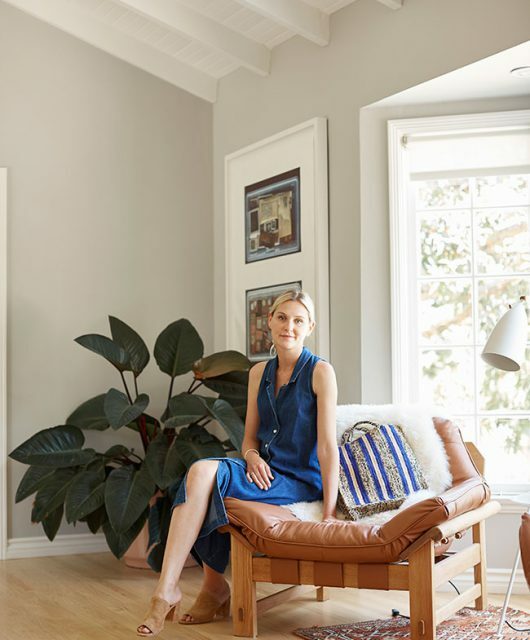 Despite a long list of celebrity clients like Courtney Cox, Cheryl Tiegs and Laura Dern, Trip Haenisch would rather talk about the design rather than the client, no matter the star wattage. 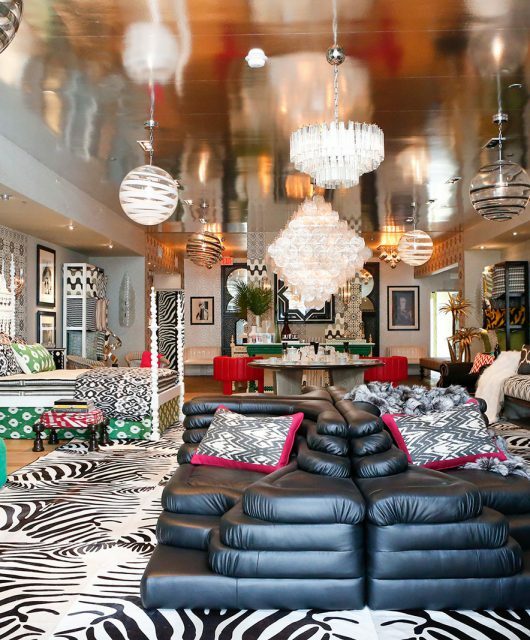 Originally from Kansas City, Haenisch moved to Los Angeles over 30 years ago and has been creating eclectic interiors for Tinseltown’s bold face names. 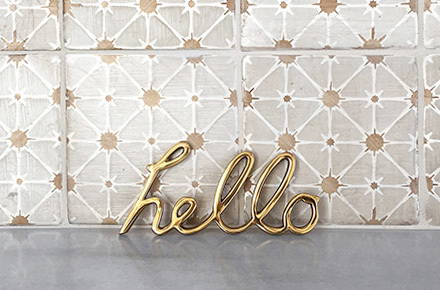 Fusing refined touches with unexpected, modern details, the result is always a luxurious and livable space. L.A. designer Trip Haenisch. 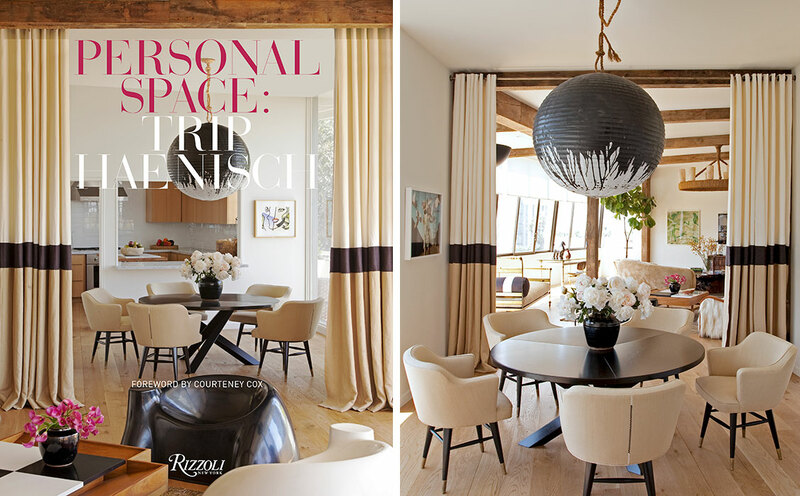 His new book, Personal Space: Trip Haenisch gives readers a glimpse into his luxe, livable interiors. For a Hollywood client, Haenisch dreamed up an inviting and chic dining space with a custom hand-painted Noguchi pendant light. Photos by Tim Street Porter. We’re getting a rare glimpse into some of his most notable projects in his brand new book, Personal Space: Trip Haenisch. From celebrity homes in exclusive enclaves like Bel Air and Pacific Palisades to a mountain hideaway in Park City, Utah, Haenisch’s sharp eye, distinctive designs and clever whimsy is on full display The title is an essential for any design enthusiast’s library. 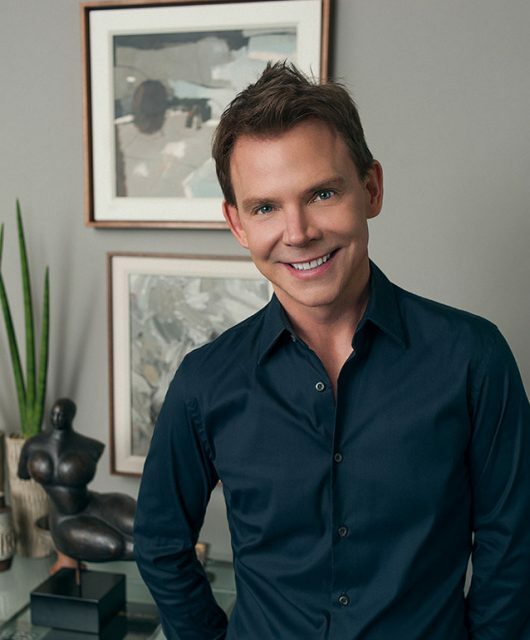 In addition to being dubbed “Hollywood’s Top 20 Interior Designers” by the Hollywood Reporter, Haenisch’s work has been showcased in C, as well as Architectural Digest, Los Angeles Times, and Vogue. On the eve of his book launch, Haenisch was kind enough to share his favorites in and around the LCDQ. Our takeaway? We’ll have what he’s having. 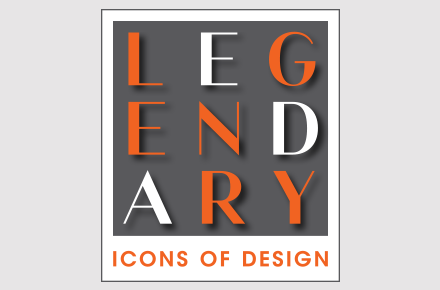 Some of the designers’ frequent LCDQ stops include Marc Phillips, Una Malan and Hollywood at Home. Haenisch is currently searching for fabulous wallpaper at Harbinger, Claremont and Alt for Living. The designer takes coffee breaks at Alfred on Melrose Place. 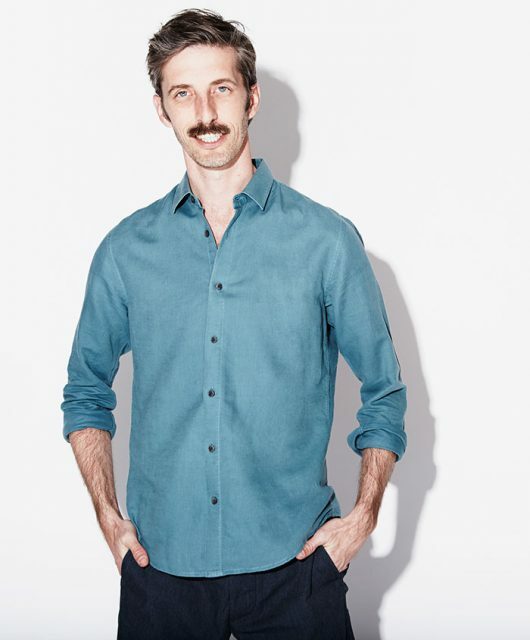 He loves the “beautifully edited” array of menswear at Jay Wolf. Photos courtesy of Alfred and Jay Wolf. The designer digs the Jeremy Hotel’s skyline views and pool area. Haenisch kicks back after hours with a Moscow Mule at Soho House. Photos courtesy of Jeremy West Hollywood and Soho House West Hollywood. 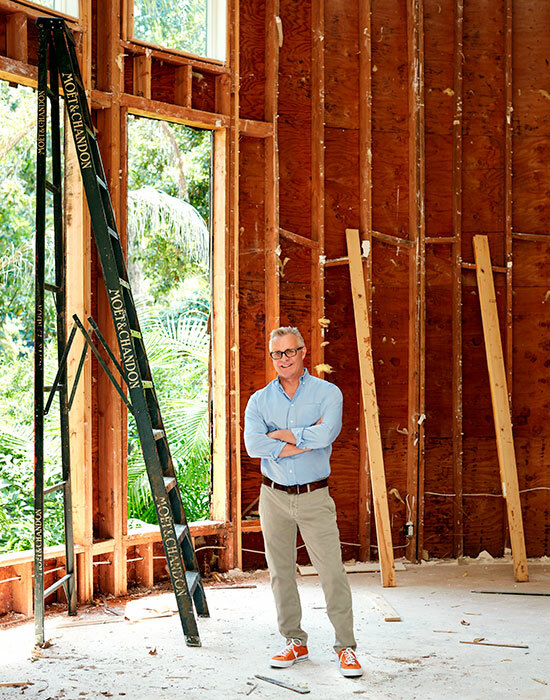 Jeff Andrews Knows Great Design and a Really Good Martini The in-demand L.A. designer shares where he scores insane lighting and more around LCDQ.